« Sophia in "The Chocolate Milk Cow"
It’s time to start thinking about Christmas. That’s a bit difficult to do when the weather is in the upper 80s and low 90s, and everything is so green and colorful outside. 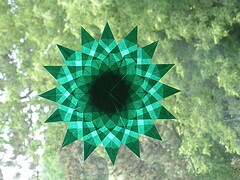 However, it’s always enjoyable to create new window stars in a variety of colors and patterns. 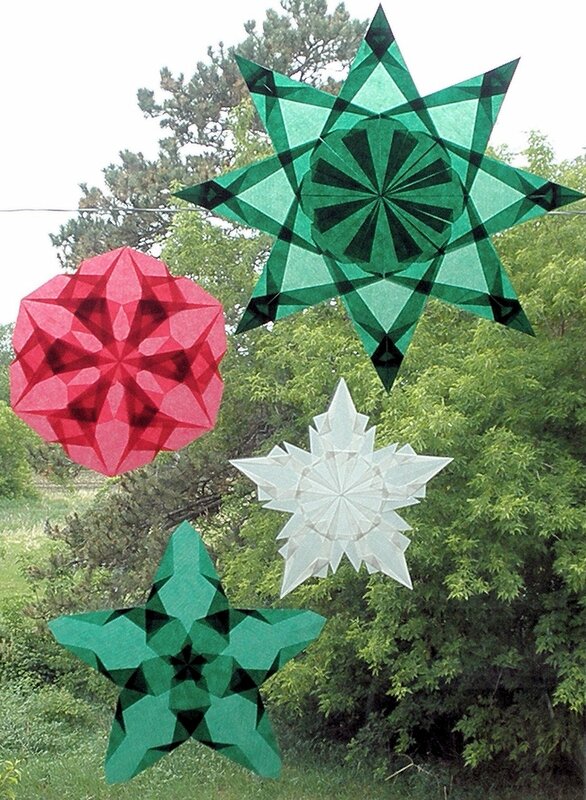 I’m planning on making more stars in green, red, and white over the next couple of months. There should be quite a selection in my shop, Harvest Moon by Hand. See the images above for a sneak peek. Some of the stars shown here as well as other gift items are already available in my shop if you like to get your Christmas shopping done early. What great news! I've emailed you through Etsy. Thanks, Linda.